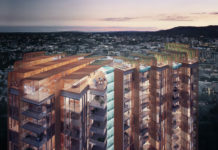 DA SUBMITTED: A major mixed use development is set to transform Woolloongabba into a high density, transit-orientated suburb. 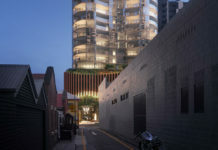 Anthony John Group, the developer behind the Fortitude Valley’s highly successful Emporium development has submitted an application to build a mixed use TOD (transit orientated development) style project integrated with the existing Buranda railway and bus stations.  The ‘mega-project’ is to be called The Boulevard and has a range of commercial, residential and hotel towers rising 32 storeys high. 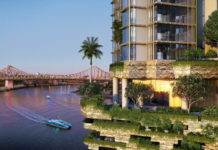 A rumored 886 dwellings will be built in this development, while a large retail component will trump the size of the city’s Wintergarden shopping centre. 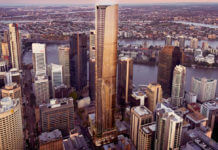 There is also more planned office space than the collective GFA of Grosvenor’s 400 George tower currently under construction in the CBD.